Jacqueline comes from a deep Cajun background, growing up on Bayou Lafourche in Southeast Louisiana’s Assumption Parish. After getting her bachelor degree in Culinary Arts from Nicholls State University just after Hurricane Katrina, she headed west to join the team of Chef Thomas Keller’s French Laundry and Bouchon in Napa Valley. She later joined the team at Frasca in Boulder, CO in the restaurant’s early years. After a stint at Blue Hill at Stone Barns in New York, she headed back to New Orleans to work alongside fellow NSU alum Michael Gulotta as executive sous chef at Restaurant August, where she’d worked during college. After a summer cooking in Provence at Chateau de Montcaud, Jackie was offered a sous chef position from fellow TFL alum Corey Lee at San Francisco’s highly acclaimed Benu, where she helped the team earn 3 Michelin stars. Emily is a New Orleans native. She got her start in cooking at a early age eventually moving to Los Angeles to train under Chef Dahlia Narvaez & Nancy Silverton at Osteria Mozza. After a few years on the west coast, she moved back to New Orleans where she joined the team at Shaya starting as a line cook and working her way up to sous chef. After a trip to Japan, she fell in love with Japanese culture and knives. In 2017, she joined the team at Coutelier NOLA, a specialty knife shop offering whetstone sharpening & specialty knives. The son of Cajun music royalty Marc and Ann Savoy, and founder of the Louisiana-based label Valcour Records, Joel Savoy is a GRAMMY-winning recording engineer and record producer as well as a ten-time GRAMMY nominee. Joel is a versatile fiddler and guitarist and he has played and taught music around the world for the last 20 years. He has worked with the best in southwest Louisiana as well as with folks like John Fogerty, Linda Ronstadt, Steve Earle, and T-Bone Burnett. 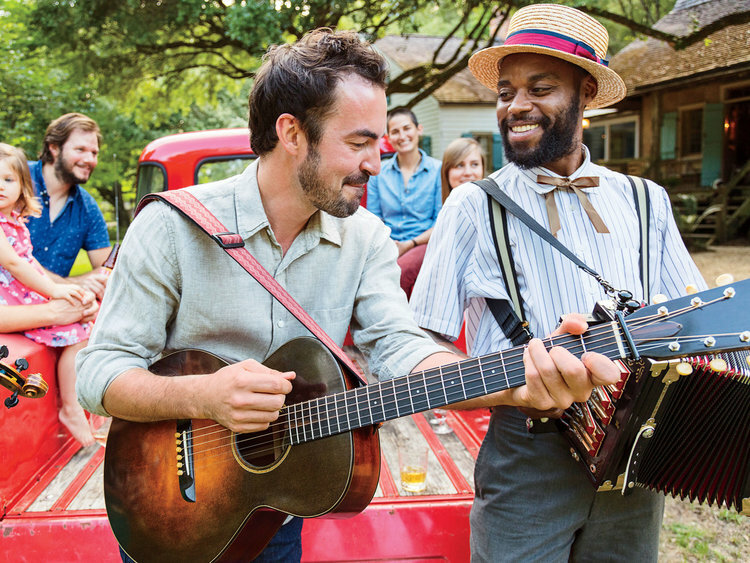 One of the most noted young talents to emerge in Cajun or Creole music in the past few years, Cedric Watson is a fiddler, vocalist, accordionist, and songwriter of seemingly unlimited potential. Cedric’s albums are a tapestry of pulsing rhythms and Creole poetry, and his live performances are unforgettable, all at once progressive and nostalgic. 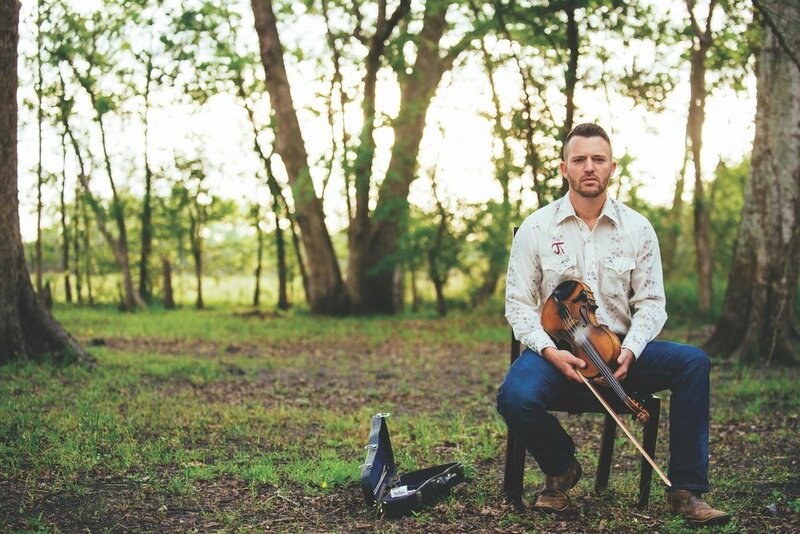 Straight from the blackjack boggy woods of Cypress Island, Louisiana, Jourdan is one of only a small number of young people speaking Cajun French today, and his soulful singing and fiddling are the perfect medium for his ever-growing repertoire of original Louisiana French songs. His musical ability and his crafty songwriting which is at once classic and progressive has afforded him a band comprised of some of the finest artists in Acadiana today.